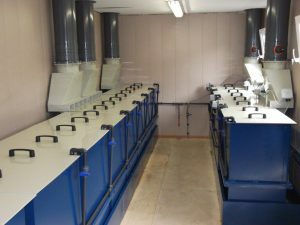 We are able to work with you to custom designed equipment for your metal finishing needs. 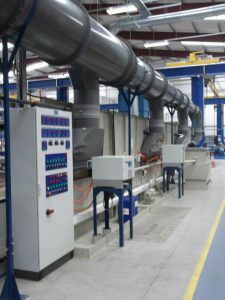 All process lines can be tailored to suit your chemical process, the parts you’re processing and the time scale they are required within along with your budget and space available. 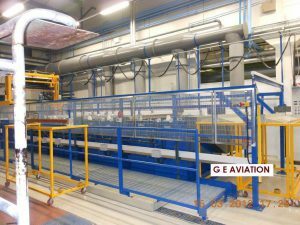 We are able to supply all associated equipment needed including tanks, anode and cathode, bars, heating, agitation, filtration, rectification, extraction, waste water treatment, control panels, hoists, track and transporters, automation, walkways, dryers, and auto dosing. We also offer an installation service or we can provide as supply only. 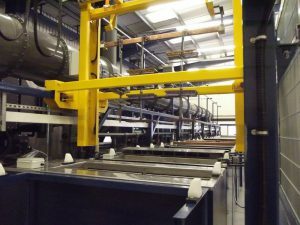 Equipment we regularly supply is for processes such as electro plating, electro forming, anodising, electro polishing, pickling and passivation etc., etc., No job is too small, we can offer small manual hand lines up to large tanks with fully automated programming and transporters and all sizes in between. If you have a requirement for metal finishing equipment please contact us with more information.